Camp Pool Builders knows pool construction. Kevin Camp knows that it helps to have an overall blueprint of the pool construction process. 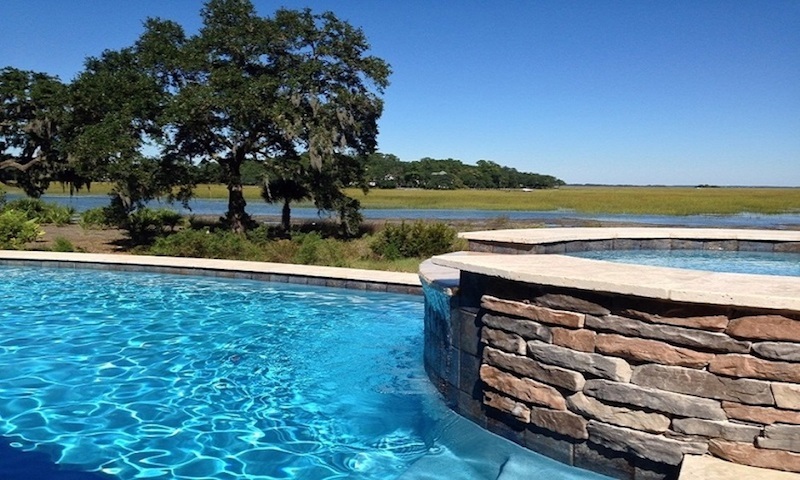 We earn our reputation for unparalleled customer service by building beautiful, high-quality custom pools on time and within budget, and by ensuring that you are well-informed throughout the entire pool construction process. We will lay out your new pool/spa in your yard, which will represent your pool area, deck area, and location of pool equipment. The layout is based on your custom pool design. Upon your approval, we are ready to build the pool of your dreams. The excavating equipment is brought in and the digging begins. 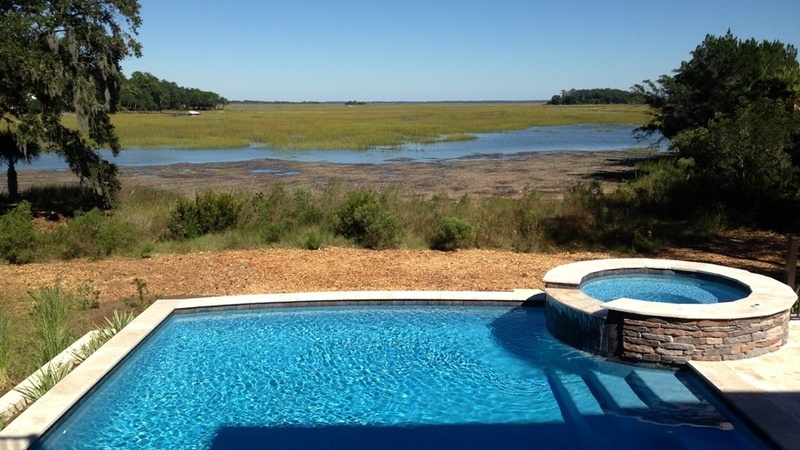 In most cases, it will take about one working day to complete the excavation of your swimming pool and remove the soil from your yard, providing there are no issues with soil or rock. Steel-reinforcing rods, or rebar, are placed inside the excavated pool/spa area, along the bottom, up the sides, and around the perimeter. Wired together, these rods add to the strength and long life of your pool shell. Camp Pool Builders exceeds industry standards by using additional rebar to protect your pool against ground forces. 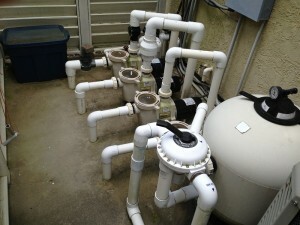 Plumbing crews will install piping and equipment to efficiently clean and purify your swimming pool water. Camp Pool Builders exceeds industry standards by using larger plumbing lines, which provide a faster turnover of water. 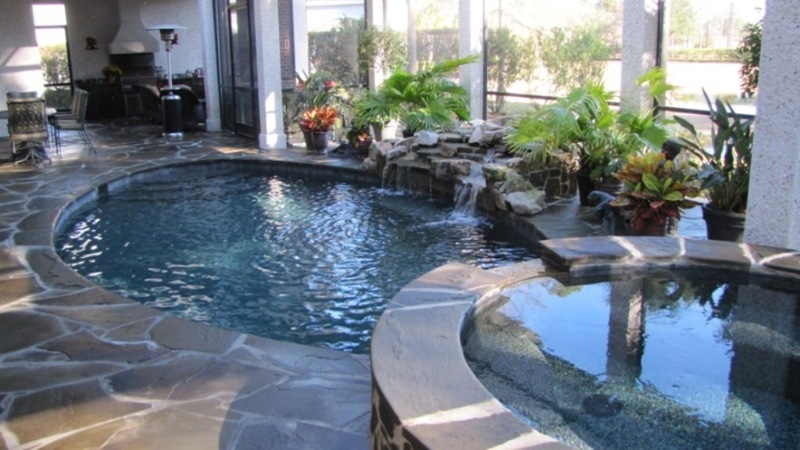 This results in a cleaner, more energy-efficient pool. The electric crews will hook into your main electric service and connect your pool equipment and lighting systems. A concrete mixture, called gunite, is pneumatically applied under great pressure to bond tightly around the steel reinforcing rods. This reinforces the steel, and gives the pool longer-lasting strength. Tile is installed along what will be the waterline of the interior of the pool. 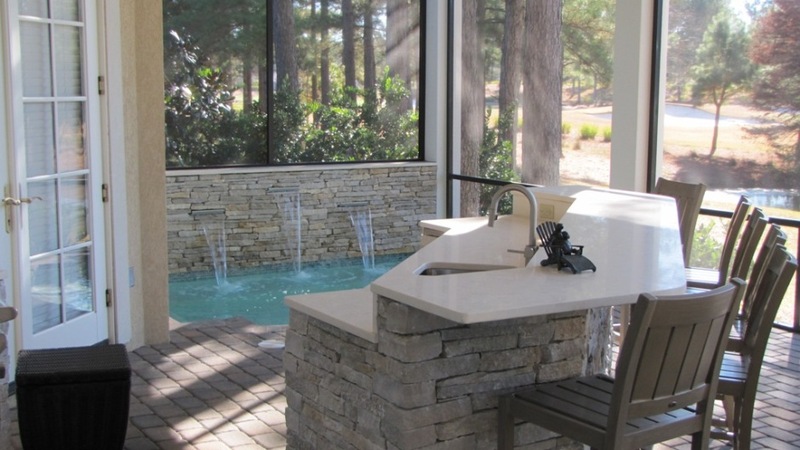 In addition, coping, or the “lip” of your pool, may be installed around the pool’s perimeter. 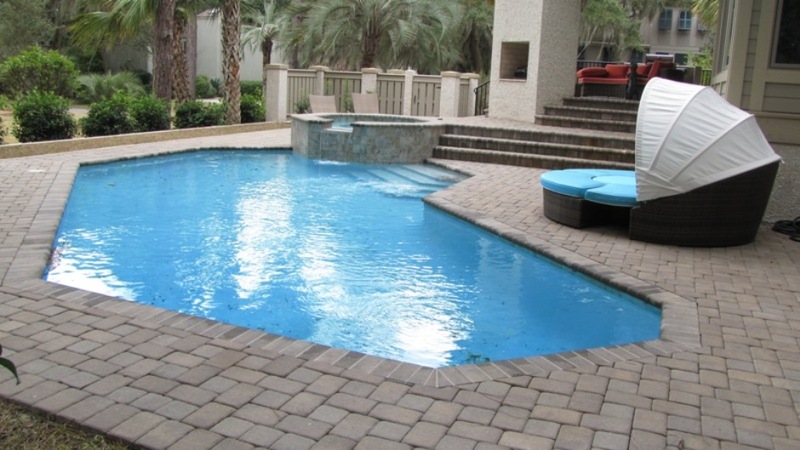 Camp Pool Builders offers a wide variety of tile and coping colors, designs, textures and materials. Rockwork may be added at this time as well. Pool decking “frames” and accents your swimming pool. It can be as unique as your pool, with various materials, designs and patterns to choose from. Your pool equipment is set on a concrete pad and made operational. The swimming pool is covered with a durable waterproof finish. 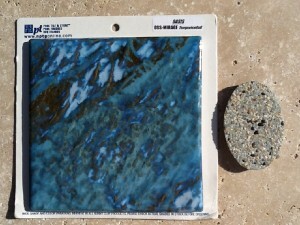 The color of the plaster or pebble finish you choose will affect the color of the water. 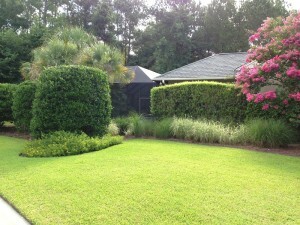 Some personal touches, a little landscaping, and your backyard is transformed into the place you’ve dreamed about. It’s a place where the kids spend endless hours splashing around, friends drop in for an impromptu poolside BBQ, and you can unwind in your spa at the end of a full day.